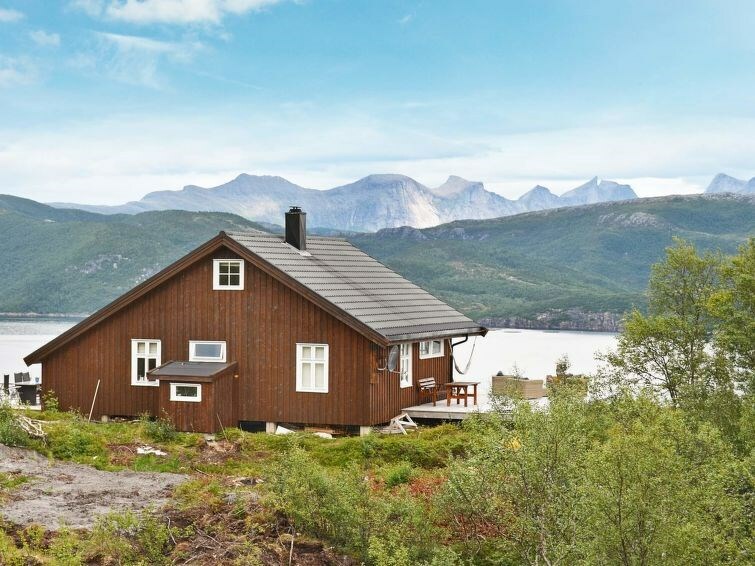 This comfortable holiday home is located on an elevated property with a magnificent view, in the small village of Finnset on the island of Sandhornøya. 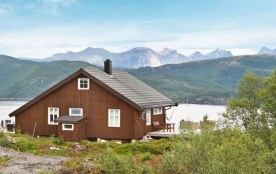 This is the perfect place if you are looking for peace and quiet with a panoramic view of the fjord. On the large terrace there is a whirlpool where you can admire the northern lights in winter, and midnight sun in summer. The cottage is charming and modern, and you can admire the view from the sofa as well. Go for walks in the mountains directly from the cottage. 4 km to a sandy beach on the west side of the island. The sea is rich with fish and a 17 ft boat with 40 hp, 4 life jackets and a sonar is available for rent (must be booked in advance). THE BOAT IS ONLY AVAILABLE BETWEEN MAY 1ST AND SEPTEMBER 15TH. A 100 metre steep road leads to the cottage. There is a 2 metre drop from the terrace - not suitable for small children.